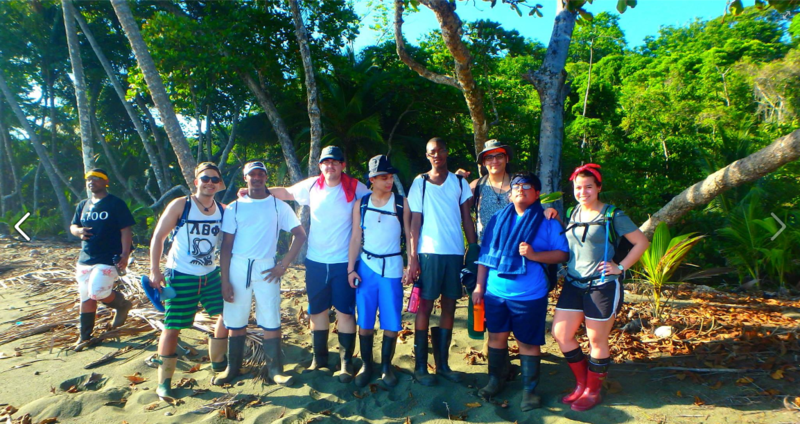 How does PEF provide informal science enrichment beyond school hours? PEF works in partnership with YMCA’s 21st Century Learning Centers to provide informal science enrichment. During the school year, students participate in two hands-on lessons a week to enhance their knowledge beyond the topics they explore in the school curriculum. We draw teachers from Paterson schools who are dedicated to improving their practice and deepening our children’s learning. Our model includes the use of interns who graduated from Paterson schools and currently attend area colleges. During the summer, the program provides 4 weeks of intensive learning for a smaller group of children. Since 2005, PEF has sponsored Girls United for the Earth (GUFE), an enrichment program for girls 13 to 18 from School 2. Th rough service learning projects, girls explore environmental justice and science careers. Every other year, the girls travel internationally to provide service. 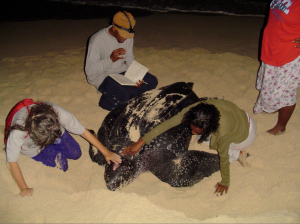 In 2006 and 2008, GUFE worked on leather back sea turtle protection (with a turtle named GUFE in their honor) and replanted mangrove forests in Grenada, West Indies. In 2011 and 2013, they supported the ongoing protection of the OSA Conservation area in Costa Rica. PEF established the Mel Merians Young Men’s Enrichment Program in 2011 to honor the memory of Mel Merians, an Eastside High School alumna. The Young Men’s Enrichment Program began at School 9 and has now moved to School 2 with a new teacher as well as new members. The group’s new name is MOTH (Matter Observed Through Hombres). The boys explore science enrichment and personal development through hands-on interactive experiences. Since the beginning of August 2014, they have gone on several local trips including, Liberty Science Center, The Sterling Hill Mining Museum, Barbour Pond in Garrett Mountain, went stargazing at William Paterson University. In April 2015, MOTH went on a service learning trip to the OSA Peninsula in Costa Rica!